Order in the next 1 hour, 18 minutes an 26 seconds for same day shipping. DaliART Circular Frame Sentiments Stamp inspired by henna designs. The Circular Frame Sentiments Stamp will work excellently with all water-based or solvent based inks. You will require an acrylic block with this stamp, which is not included. 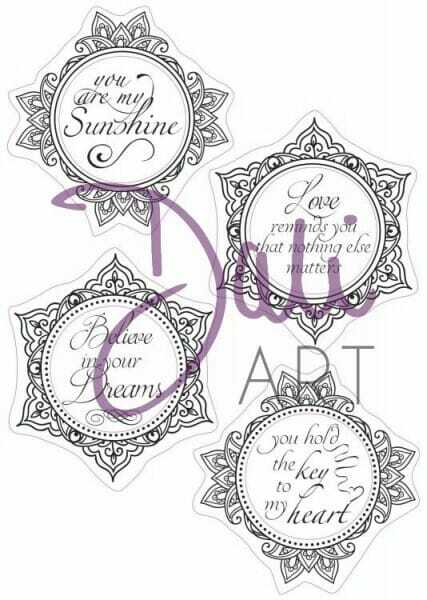 Customer evaluation for "DaliArt - DaliART Clear Stamp Circular Frame - My Sunshine"